To stop rupee from plunging is certainly a task for a superhero and the country seems to have found one in Raghuram Rajan, the new Governor of the Reserve Bank of India (RBI). Rupee has stopped falling. In fact, it has appreciated by nearly 4% since the day Rajan took over RBI. The Indian equity markets also jumped with joy as foreign investors started pumping money back into the system. The Twitterati too wanted to express their happiness as the trend #RaghuramRajanFacts caught up pretty fast after the close of market hours on Friday. That was the impact of just one speech from the new RBI Governor who is now being hailed as the savior of the country’s economy. His superpowers are being compared with none other than The Rajnikanth! account in one speech,” tweeted P.J. George. People did not waste time to replace Rajanikath with Rajan in old one-liners. brain,” tweeted Ashwani Dadhich. According to Swati D’Souza, rupee appreciated because Arora. Calvins Pappa says that Rajan can speak and sign in all the 15 languages that appear on the 1000 rupee note. Nicknames given by media include James Bond, Rock Star Central Banker and Monetary Heartthrob. Such is the height of expectations from Rajan that another tweeter Sriram R. expects rupee soon to be equal to 100 dollars! Whatever happens to rupee going forward, the twitterverse is definitely having a good time as of now. It even has a parody account in the name of the RBI Governor. The Governator. Don’t know how the real Governor would react to all this but the one on Twitter is loving it for sure. “I really do look like a brown James Bond!” was the tweet from The Governator. 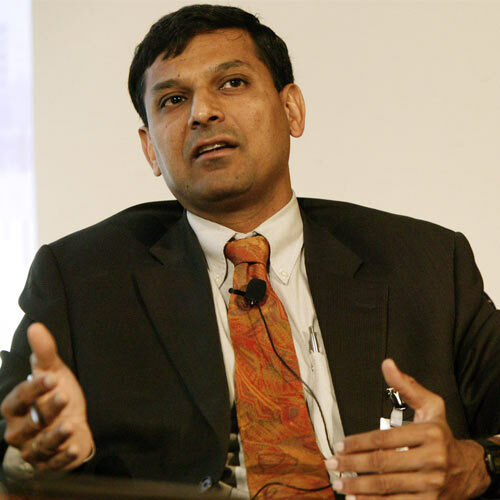 In his speech, Dr. Rajan had said that his actions may not be popular and that the Governorship of RBI was not to garner votes or Facebook likes. He did not say anything about Twitter but in just three days he already has a great fan following! We hope he lives up to it.